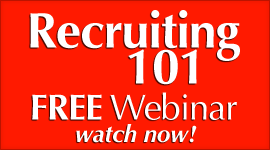 MLM Recruiting- WHAT IS MLM Recruiting and How Does it Work? You are Here: MLM Network Marketing Training PassionFire » MLM Training » Home Business MLM Training Articles » MLM Recruiting- WHAT IS MLM Recruiting and How Does it Work? What do you think MLM Recruiting is? 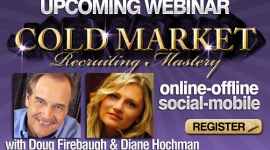 Do you understand the philosophy behind network marketing recruiting? Would know that help your home business? 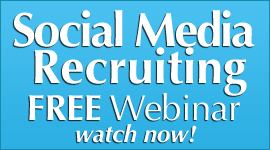 MLM Recruiting is an often misunderstood practice. It has been vilified in many respects by a lot of people. Many distributors/consultants in a home business DO NOT understand what mlm recruiting is, let alone how to do it. That lack of knowledge can and will HURT your mlm recruiting results and volume. Many think that MLM Recruiting is getting people to enroll in their business so they can help the sponsor to make money. Others think that MLM recruiting is a way they can drag people into their business so the sponsor does NOT have to work. And still, others believe that MLM recruiting is part scam but yet they do it to make money off of people. All the above are WRONG. 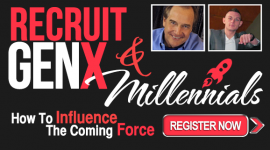 MLM recruiting is many things, but after 25 years in this great profession, I have come to the conclusion that there is ONE definition of MLM Recruiting that truly will define it as well as broaden the possibilities of it. No, mlm recruiting is NOT a scam, or a way to earn money off of people. THAT is what MLM Recruiting is. MLM Recruiting is a PROCESS- step by step- of educating the prospect about what your business is all about and then helping them decide if this is for them or not. MLM Recruiting is about Finding, Educating, and Selecting. You prospect and FIND people to talk to, and educate them about what you have to offer, then select the ones that are right for this profession. They will identify who they are, and who they are not. MLM Recruiting is about Helping the right people. 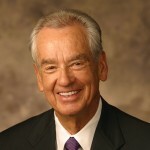 Your goal is TO HELP people…but the RIGHT people who this business is FOR. 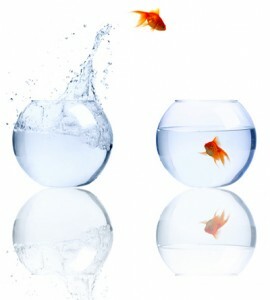 There are people that your business is NOT for, and your job is to sift and sort through them to find the right ones. MLM Recruiting is about Taking Control of your future. Control is critical to have of you ever want to establish wealth in your life. It is taking control of your time, actions, and where your future is headed. MLM Recruiting is about owning your own business. 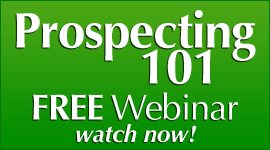 You are recruiting prospects into your business because you want to help them own THEIR own business. It is about owning a business you work out of your home. How does MLM Recruiting work? You need to find people to talk to, and they are everywhere. You need to find the RIGHT people. You must create the exposures that will educate the prospect on what you do and what the whole vision is about. 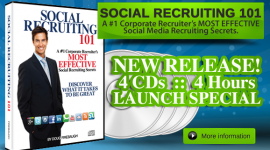 This can be done face to face, over the web, on social media, mobile recruiting, or in a public gathering, or in a home. It can vary, but the education process must take place, and it may take more than one exposure. You need to reconnect with the prospect and see where they are with what they have seen. 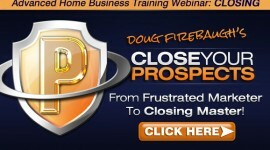 Often called “closing” I believe it is more that you select the people that you want to work with and with that mindset, you will find the right people in mlm recruiting. MLM recruiting is a process, and an art. If you master mlm recruiting, you will find your success will explode in your network marketing home business. This makes it so simple and it seems as if we go around in circles trying to recruit with understanding what is recruiting… simple said MLM Recruiting is …. This makes everything real again. 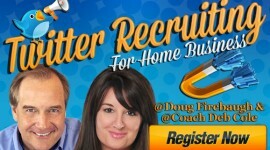 Doug, THANK YOU for EXPLODING the Myth of Recruiting! Doug, Recruiting is about Finding, Telling, Educating, and Keeping. The tracking of this process is huge. With Doug’s couching “it happens”. With some action it is easy. MLM is often a misunderstood profession. It is SO important to remember these principles and follow the EFFECTIVE PROCESS of recruiting. We represent an ELITE profession – requiring just that….the BEST from the BEST. I love your explanation of what MLM recruiting truly is, Doug. Lots of folks in and out of networking need to read this. Thanks!